Our dedication to responsible and sustainable sourcing of Chinese herbs would not be possible without the continual support of our partners who share the same ethos. Our community of customers, farmers, wild-crafters, processors, and researchers behind the scenes have made our “Ai Cao Yao” (Love Herbal Remedies) possible for over three decades; and hopefully, for many more years to come. We have worked with many of our partners since our founding in 1979. Some of them took a chance on this passionate family business when we first began; others joined us after years of dialogue revealed our common values. 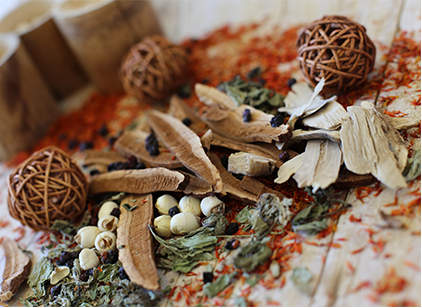 The common thread among our partnerships is an enduring trust and commitment to work together as responsible stewards of Chinese herbs and the environment, to guarantee access now and for posterity. None of what we do can be accomplished without the valuable relationships we forge and nurture in the field. Interested in becoming a trusted partner? If your company -- whether grower, wildcrafter, manufacturer, or practitioner -- shares our passion for health and positive impact, we invite you to start a conversation with us to discuss how we can work together to build a stronger, brighter future for Chinese herbs.